Ion exchange (IX) systems can be an efficient solution for various demineralization, purification, and wastewater treatment needs. In fact, IX systems deliver several advantages over chemical treatment, as they generally require less space, less labor, no sludge disposal, and lower operational costs. While such benefits are attractive, you might be left wondering “What are common problems with ion exchange and how do I fix them?” This article will offer insight into the key conditions and issues that compromise the overall efficiency and cost-effectiveness of IX systems, as well as some useful strategies for correcting IX problems. While resin fouling decreases IX system performance, it is often reversible through appropriate remediation measures. These must be specific to the foulants present, but in general, caustics are used to remove foulants from anion resins, while acids or strong reducing agents are used to remove foulants from cation resins. Similarly, surfactants are typically used to clean oil from fouled resins, though it is necessary to use care in selecting a surfactant that will not itself foul the resin. Organic fouling is both extremely common and comparatively more difficult to correct. Preventative strategies for organic fouling include prechlorination and clarification, activated carbon filtration, applying a multistep IX with weak and strong base resins, and use of specialty IX resins. IX resins are comprised of crosslinked polymers that are able to stand up to a variety of substances. Still, they are vulnerable to oxidizing agents, such as nitrates, peroxides, halogen compounds, chlorine, and hypochlorite compounds, among others. When present in a feed stream, oxidants degrade IX resin polymers, causing them to deform and compact over time. This compaction obstructs the flow of liquids through the resin bed, which can compromise the overall effectiveness of the IX unit, and lead to inconsistent effluent quality due to channeling in the resin bed. While oxidation damage to IX resins cannot be reversed, it can be prevented through various pretreatment measures. Common preventative measures for oxidation degradation include application of activated carbon filtration, ultraviolet irradiation, or chemical pretreatment through the application of a reducing agent. Extremely high or low temperatures can permanently compromise the effectiveness of IX resins. Over time, thermal degradation alters the resin’s molecular structure such that it is no longer able to bind with the functional groups of ions that are key to the IX reaction, resulting in compromised operational performance and shorter product life. IX resin capacity has an inverse relationship with temperature, so it is important to consider the recommended operational temperatures and other process conditions to minimize thermal degradation over time. Generally speaking, cation resins are more resistant to thermal degradation than are anion resins, though both can generally withstand brief applications of high heat for occasional sterilization or other purposes. While prolonged exposure to extreme temperatures usually means a shorter useable life for IX resins, in some cases the costs of more frequent resin replacement may still not outweigh the costs of energy and equipment needed for temperature control. Suboptimal IX system function can result when regenerant solutions are administered incorrectly. Simply following the resin manufacturer’s guidelines for regenerant concentration, application time, and flow control can prevent issues and ensure consistent IX system function and proper run performance. Channeling occurs when liquids pass through the resin unevenly, carving pathways that result in the uneven exhaustion of the resin, and breakthrough of untreated solution into the effluent stream. Channeling can be caused by incorrect flow rates, failure of the distributor mechanism, inadequate backwashing, and blockages by dissolved solids or damaged resin beads. Resin loss occurs when resin beads flow out of an IX column, or flow from one vessel to another. There are multiple causes for resin loss, including excessive backwashing and mechanical failures in underdrain screening or other resin retention equipment. Resin loss may also result from fragmentation of resin beads due to exposure to high temperatures, chlorine, and/or osmotic shock, allowing the resin particles to pass through even intact retention screens. Resin loss and migration reduces overall system capacity and efficiency. In demineralization systems, for example, the migration of cation resin into the anion unit can result in sodium leakage and excess rinse time. SAMCO has over 40 years’ experience custom-designing and manufacturing IX systems for a range of industries and solutions, so please feel free to reach out to us with your questions. For more information or to get in touch, contact us here to set up a consultation with an engineer or request a quote. We can walk you through the steps for developing the proper solution and realistic cost for your IX treatment system needs. To learn more about SAMCO’s IX technologies and services, visit our page on ion exchange resin technologies here. 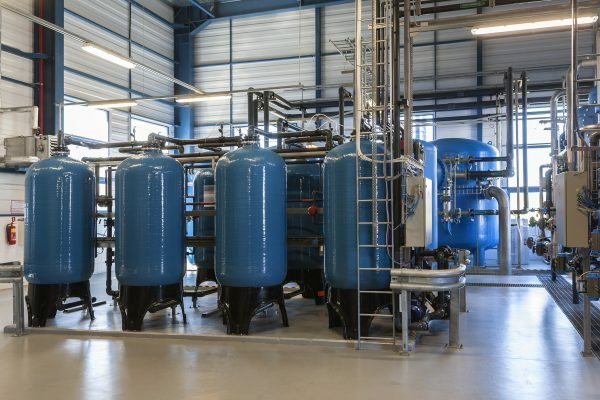 How Do You Choose the Best Ion Exchange System For Your Facility? 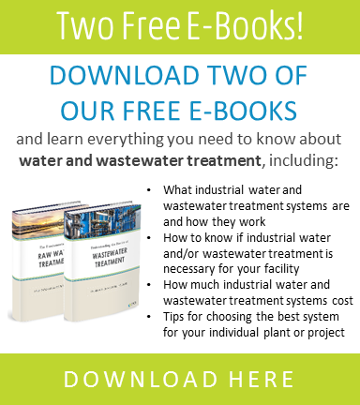 How Much Does an Ion Exchange System Cost? What Are the Best Ion Exchange Equipment Supply and Technology Companies? Does Your Facility Need an Ion Exchange System?